This is my journal entry for today, the fruit of my quiet time with God, as I considered His Word in Psalm 63. This message explains how I approach quiet time. A thought crossed my mind while in the shower yesterday, one that’s hit me before, but usually to little effect. It’s this: How much time I spend thinking about myself and how little I spend thinking about God. Often, I get caught up in my own agenda, my own perceived needs, my personal desires without thinking of God. 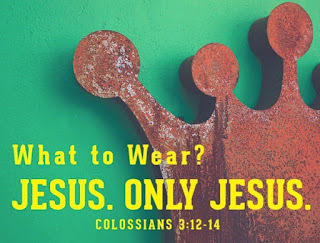 Most, if not all, of the time I spend wrapped up in myself could be better spent (not to mention more faithfully spent) in praising and honoring God, thanking God, seeking to understand God’s will for my life, and so on. It can be surmised from Psalm 63’s superscription--”A psalm of David. When he was in the Desert of Judah.”--that the future King David was in a situation in which, once again, he was hard-pressed, a moment when he understood his desperate need of God. Some scholars believe that its composition is rooted in David’s experience of fleeing from Absalom. David wouldn’t always remain so connected to God, of course. His hard fall into sin when, at a time when he was avoiding his duties as king, he had an affair with Bathsheba and then arranged for the murder of her husband, show that he didn’t always remember God. Like other garden-variety sinners, David could be complacent and insensitive to his need of God when his human vulnerabilities weren’t so apparent to him. In other words, David was human like me. Listen: But this verse expresses reality. We need God. I need God. And I need to keep him at the center of my life, not as some legalistic prescription from a God Who, to paraphrase a character on the old TV series, MASH, wants to send me to the fires of hell without an electric fan. But it’s in remembering God, staying connected with God, that I remind myself to cling to the gracious God Who, through His ultimate self-disclosure in Jesus, shows that He wants to take me under His wing, empower me for living with confidence, lead me to a life of love, forgive my sins, destroy the power of death over me, and give me an eternity of the life for which He created me in the first place. When I forget God, when I fail to let Him fill me with the assurance of His presence and love, I begin to think that I’m on my own, that I must constantly prove my goodness or my strength, or my self-sufficiency, or my intelligence or whatever seems important for me to prove at any given time. I’m left to my own resources in solving problems, facing this life’s tragedies, making plans, or, when I’m so motivated, doing the right thing. I need to remember God because I need God. That’s why daily reading His Word and contemplating it are so important for me. 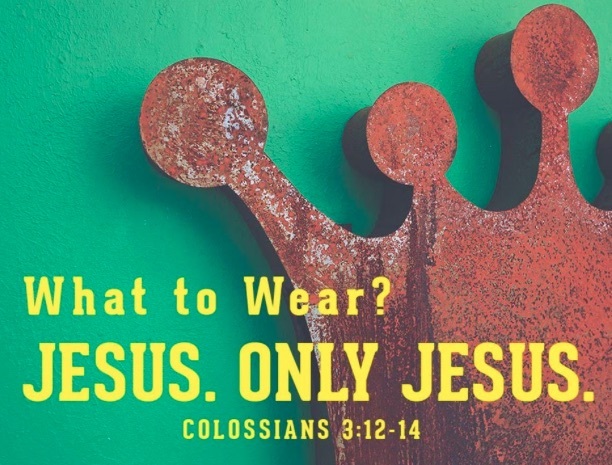 That’s why being part of Christ’s Church is central...anyone who sets out to be a Christian without being part of Christ’s Church is turning their back on the will of God and “cutting off their nose to spite their face,” as the old saying puts it. A person of faith, class, good humor, and common sense, very American. Nostalgia is bad history, but much of what she represented is missing from current American culture and politics. 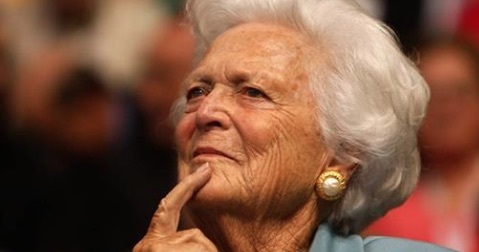 While her husband, a fundamentally decent man who was a good president, felt the need to consort with the likes of Lee Atwater and other smarmy political operatives to get himself elected, Barbara Bush never lost sight of her values. And she clearly kept her family grounded. What a life!